There is not nearly enough being done to help consumers with their student loan debt. 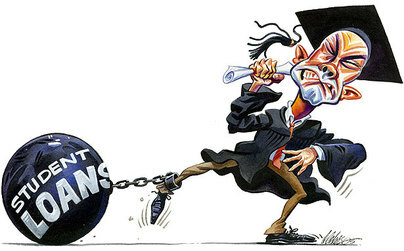 Congress continues to delay the inevitable, and student loan services have very little sympathy for consumers. They offer very little in terms of workable programs. Sure, they say things like “income based” repayment plans, but these plans very rarely are affordable. For instance. I have clients who have credit card debt and pay monthly payments on this debt. Well, when determining what they can pay their student loans, these payments are ignored. So, the student loan servicers create a false budget that has no basis in reality. In other words, they want you to default on your credit cards, which will only destroy your credit score and any chance at tasting financial freedom. And because the student loan services are so horrible, there is an entire crop of shady companies that have come out to rob suspecting people. These companies offer too good to be true promises, such as lowering student loans or getting the debt forgiven. All these companies do is fill out one page forms that are available at Studentloans.gov. The form requires very little expertise and there is no reason why you cannot do it yourself. For a lucky few, there are programs that will help you but for most people, the affordable payments just won’t work. It’s always worth a try though.